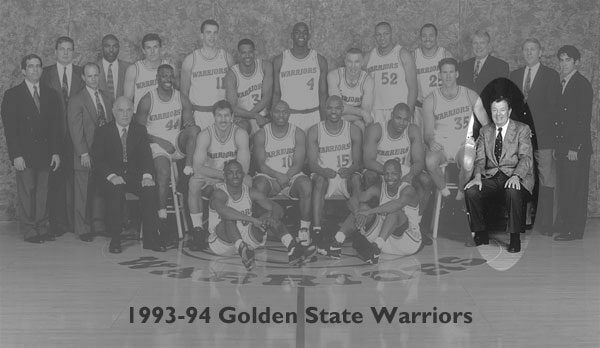 In 1986, Jim Fitzgerald and Dan Finnane, who had also been involved with the Bucks, took over the Golden State Warriors, which they owned through 1995. At the time he owned each of these teams, Fitzgerald had only a “handshake agreement” with Don Nelson, head coach of both teams in turn, not a contract, an arrangement which reflected the friendship and trust between them. In an era of lawsuits and countersuits, this “contract” was unique in professional sports. In 1997, 50 years after he graduated, the Fitzgerald family donated funds to build a new sports and communications center and press box at Notre Dame Stadium. 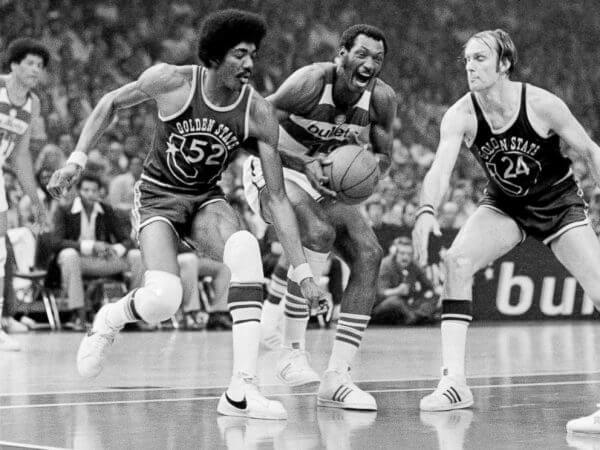 The 1975 NBA World Championship Series was the championship round of the 1974 – 1975 NBA season of the National Basketball Association. The Golden State Warriors (48-34) of the Western Conference played against the Washington Bullets (60-22) of the Eastern Conference. The series was played under a best-of-seven format. The Warriors’ home games were played at the Cow Palace in Daly City (near San Francisco) due to scheduling conflicts at their normal home court of Oakland Arena during the week of May 19–26. In addition, an odd scheduling format had to be used because Golden State could not secure the Cow Palace for Memorial Day Weekend (May 24–26). 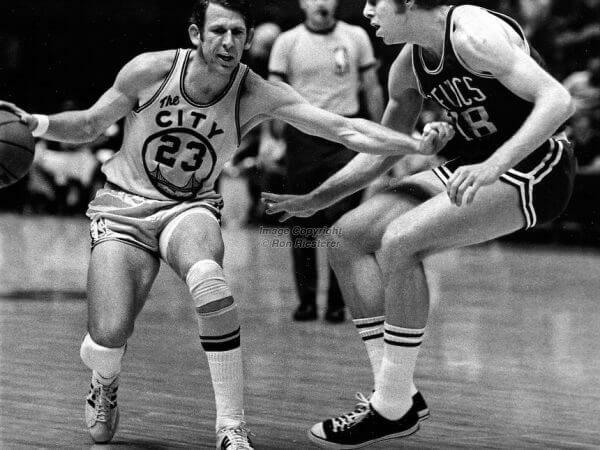 A Sports Illustrated article about the series reported that Washington, which held home court advantage, was given the option of a 1-2-2-1-1 scheduling format due to Golden State’s problems or, if they wished, opening on the road and then having Games 2, 3, and 4 at home. Washington opted for the 1-2-2-1-1 format not out of a sense of fairness, but because they wanted to open the series at home. 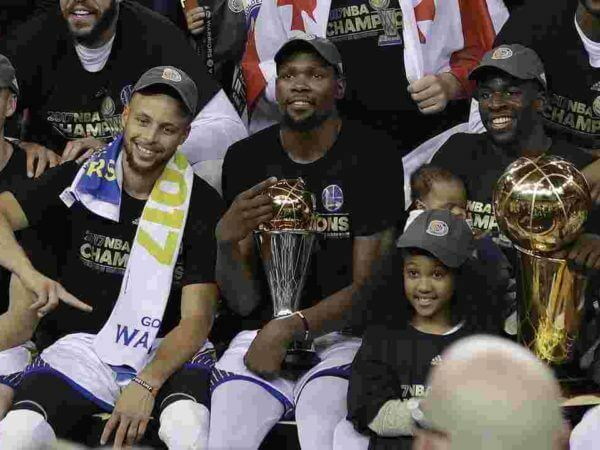 The 2017 NBA Finals was the championship series of the National Basketball Association (NBA)’s 2016–17 season and conclusion of the season’s playoffs. 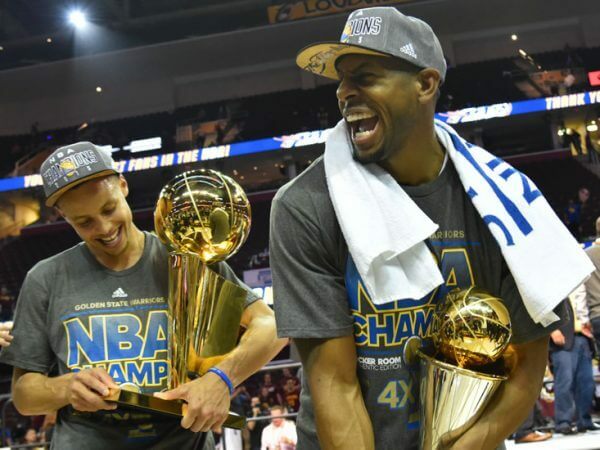 The Western Conference champion Golden State Warriors defeated the defending NBA champion Cleveland Cavaliers 4 games to 1. This Finals was the first time in NBA history the same two teams had met for a third consecutive year. The Cavaliers sought to repeat as champions after winning the championship in 2016, while the Warriors won the first meeting in 2015. Golden State earned home court advantage with a 2016–17 regular season record of 67 – 15, while Cleveland finished the regular season with a 51 – 31 record. The Warriors entered the 2017 Finals after becoming the first team in NBA playoff history to start 12 – 0, while the Cavaliers entered the 2017 Finals with a 12 – 1 record during the first three rounds of the postseason. The Warriors’ 15 – 0 start in the playoffs is the most consecutive postseason wins in NBA history and their 16 – 1 record is the best winning percentage (.941) in NBA Playoff history. Warriors – Historical connection with the Delaware Indians who inhabited the Philadelphia area before British Colonist displaced them. 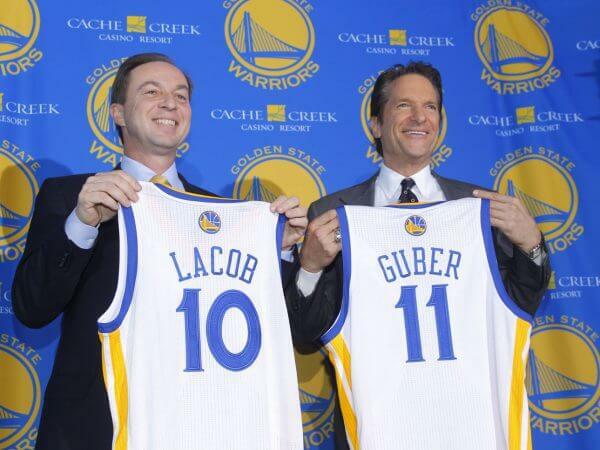 The team nickname traveled to San Francisco and to Golden State. 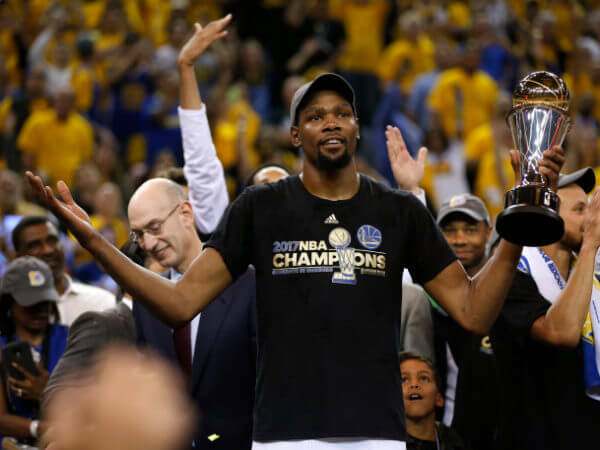 Who is the greatest Golden State Warriors?